This article was originally published in the March, 2019 issue of the Shout NZ. When this author thinks of beer, one of the first images that comes to mind is that of the idealized Irish Pub; some rhotic speaking publican pouring a creamy pint of something black. This is perhaps a notion that should be no surprise, given the rich history of beer in Ireland and the impact their beer has made across the globe. However, there is far more to Irish beer than simply Guinness. As it happens, Ireland’s environmental conditions have proven perfect for growing barley, making it one of the country’s principle crops. The Irish have been turning that barley into beer since as far back as the Bronze Age. While we know little about these pre-historic Celtic beers, a brief mention of these ancient brews was found in an Irish poem written no later than the 9th century. This cursory reference simply states that these “red ales” were drunk in “Dorind”, and “about the land of the Cruithni”. However these pre-historic red ales, would have born little resemblance to the modern Irish red ales produced today. As the centuries passed and trade led to a certain degree of homogeneity, Irish beer styles evolved to more closely resemble other beer styles common in England and Scotland. Still, (as with most beer styles), politics, geography, evolving tastes, and other unique environmental pressures, led to a few unique Irish beer styles that endure to this day. Let us take a look at two of the more popular beer styles that come to mind when one ponders the unique history and flavours of Irish Ale. 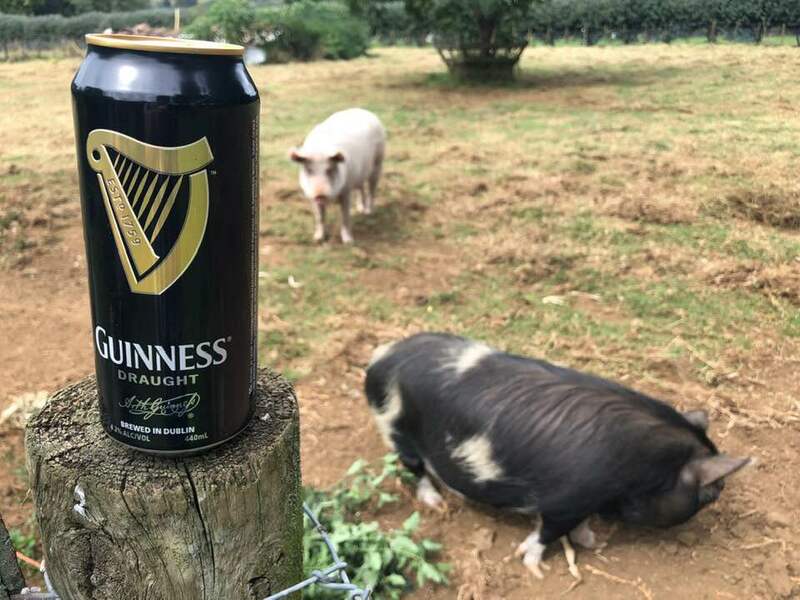 While lager makes up about 60% of the beer sold in Ireland, a surprising 35% (approximately) of the beer sold in the country is Stout; a statistic not common elsewhere in the world. Ireland’s love of Stout begins in the 18th century when the similar dark beer style known as “Porter” caught on with London’s river porters and soon spread across much of Europe, including Ireland. The first Porter brewed in Ireland is believed to have been brewed in 1776. A little more than a decade later a brewer by the name of Arthur Guinness would try his hand at brewing the increasingly popular style as well. It wasn’t long before Guinness had phased out all other beer styles in favour of Porter. Soon, other Irish brewers such as Beamish and Crawford, and Murphy’s Brewery followed suit. Originally the term “Stout” simply referred to a strong beer. The term was not in any way synonymous with being dark in colour. A strong version of a Porter was referred to as a “Stout Porter”. As time passed and the style evolved, Porter was dropped from the name altogether and the beer was forevermore known as “Stout”. One of the defining differences between Stout and Porter (at least historically) is the malt which gives it its infamous black colour and roasty flavours. Originally both Porter and Stout were made with “Black Patent Malt”; a type of highly kilned malted barley. However, Arthur Guinness realized that he could save money by using unmalted “Roasted Barley” which was not taxed in the same way that malted barley was. This gave Guinness (and Stout in general) an economic advantage over the more expensive Porter; a fact that nearly drove Porter into extinction and led to Stout becoming the reigning king of dark beer styles. Over time, Irish Stouts continued to evolve. The alcohol levels dropped and Irish brewers stopped using “Brown Malt”, as was commonly used in English Porter. Instead preferring to derive all of their roasty flavours from the aforementioned Roasted Barley. Today we know this style as the “Irish Dry Stout”. A typical Irish Dry Stout is a very dark (nearly black), roasty, bitter, creamy ale, rich in coffee and dark chocolate-like flavours. Typically clocking in between 4% – 5% ABV, an Irish Dry Stout gets its dry finish from the use of roasted barley, and a reasonably high hopping rate for such a low ABV beer. Irish Dry Stouts also typically forgo the use of “Crystal Malts” (which contribute sweetness and body), in favour of “Flaked Barley” which gives the beer it’s famously creamy mouth feel. This creamy mouthfeel is often accentuated by the use of nitrogen rather than the traditional CO2. This gives beers, like Guinness, that classic foamy head that seems to cascade through the beer in near slow motion. Guinness Draught is the most popular Stout in the world, and it is commonly found on tap, and on grocery store shelves here in New Zealand; though Murphy’s is also relatively easy to find as well. Not often produced by New Zealand craft breweries, there are at least a few craft options for those seeking a uniquely Kiwi take on the style. One such example is Garage Project’s “Snug”. An Irish Dry Stout that aims to provide “the perfect balance of chocolate, coffee and full bodied creamy mouth feel.” You might also consider seeking out “The Ace of Spades” from Good George Brewing; another Irish Dry Stout from New Zealand, which is rich in notes of coffee, caramel, vanilla, and ends with a smooth finish. Despite the historical references to the ancient red ales of Ireland, what we know of as “Irish Red Ale” today is a comparatively modern creation. Rather than having evolved from the traditional Irish Gruits (unhopped beer), the modern Irish Red Ale appears to have evolved as an Irish take on the British Pale Ales popular in the 18th century. The key difference being a lower hopping rate and a greater focus on malt. Irish Ale yeast strains also impart less fruity flavours than most English Ale strains, resulting in a cleaner beer. Although still produced in Ireland by a number of breweries, (the most popular of which is Smithwick’s Draught Ale), it’s interesting to note that Irish Red Ale is decidedly more popular in the United States than in its home country. In the early 1980s, Coors Brewing Company licensed the name “Killian” from George Killian Lett, of Lett’s Brewery in Enniscorthy, Ireland. They began brewing Lett’s famous “Enniscorthy Ruby Ale” under the name “Killian’s Irish Red”, a red lager brewed in the Irish Red style. With the marketing power of Coors behind the beer, it caught on in America and has helped insure an enduring appreciation for the style. However, New Zealand beer drinkers would likely be more familiar with Kilkenny, an Irish Red from the makers of Guinness. Typically clocking in at between 4% – 5% ABV (though stronger examples exist), a traditional Irish Red Ale is an easy drinking, malt forward, clean ale. The low hopping rate gives the initial impression of sweetness, however, the small amount of Roasted Barley – typically used to provide the beer’s reddish hue – contributes to a relatively dry finish. If you’re looking to get yourself a locally brewed example of an Irish Red Ale, you might try “The Leprechauns Belle” from Deep Creek Brewing Company. According to the company, their Irish Red “follows their family roots back to the Emerald Isle to create a Deep Creek version [of the style]”. In The Leprechauns Belle you’ll find a “malt dominated beer with beautiful roasted barley and hints of orange blossom flavours”. Or, for an Irish Red with a New Zealand Twist, you might try Hallertau Brewing Company’s “Copper Tart Red Ale”: a rich, malt-forward Irish Red Ale with notes of caramel and chocolate. Traditional Irish Ales are not going to win over many hop heads. Nor will they be the beer of choice for those who like to drink their pale lager by the twelve pack rather than the pint. But if you’re the kind of beer drinker that enjoys an easy drinking, sessionable ale, that is steeped in as much Irish soul as it is in malty flavour, then either of these Irish ales just might be for you. So the next time you find yourself perched at a barstool at some oak-lined Irish pub, forgo the flavourless lager or the almost certainly oxidized IPA, and grab yourself a pint of the good stuff.